In June 2007, I took Ted Leonsis and the Washington Capitals leadership team to task for introducing a new jersey as a "brand awakening" for the Washington Capitals. I wrote that, "if you want to strengthen your ties with current fans and attract new ones, you only have to do one thing – PUT A BETTER PRODUCT ON THE ICE. " Well 3 1/2 years later, Leonsis and crew have clearly proven that they already knew what I was talking about. Leonsis took a last place hockey team, in a football-crazed town and turned them into the hottest ticket in DC, having sold out more than 100 games in a row. 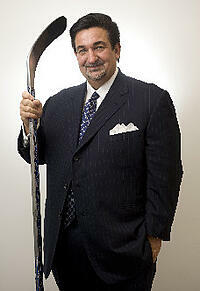 Leonsis has since taken over the Washington Wizards and Verizon Center, after majority owner Abe Pollin passed away. The Washington Post has a fascinating story about how Leonsis is turning those organizations around as well. It's not only interesting if you're a sports fan, it's down right instructive if you are trying to grow your business. I highly recommend you read it. Leonsis and crew are maniacal about looking at everything from the customer's viewpoint. Leonsis spends time with them, and no detail is too small. Whether it's adding cupholders to the urinals, making sure the pizza is hot, or checking the new packaging on nachos, Leonsis' crew is on it. They know who their best customers are and they cater to them. They allow them to participate and really feel like owners. I don't 'dress up' the arena. I don't believe in that. We don't do it with the Capitals. So some nights, it looks like our attendance is down, yet our revenues are way up because you are not giving away free tickets. We will make the Wizards a hot ticket because Washington is a fantastic market. If we can build the team around the right players who can play the right way and get results, we will sell it out. It would do many business leaders well to follow Leonsis' example.